A thrilling fantasy tale of political intrigue, magical war, and one girl thrown into the mix. Compelling high fantasy in a rich world with characters that feel dropped out of reality. I waited a long time to read this for various reasons or another, and it was worth every second of the wait. Shadow and Bone is fantasy for fantasy lovers. It has the magic and badassery of anything Tamora Pierce and a unique setting in a land inspired by imperial Russia. 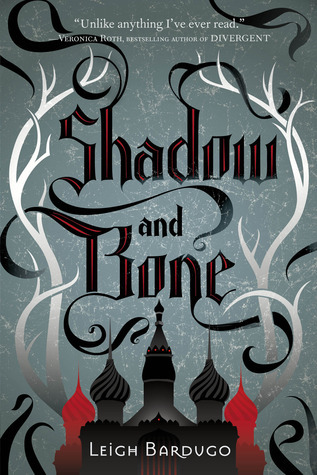 Bardugo does a great job of weaving Russian culture with unfamiliar creations like grisha (magic users) and the Fold (a terrible, shadowy place); her world is instantly familiar and livable. Alina's voice is key. Witty, snarky, insecure, and matter-of-fact, her voice is vibrant. It gives richness to her character; you know her as much through her tone and descriptions as through her actions. Some of the other characters seem cursory, but some of the major players feel fully real. And since we know them only through Alina, it allows Bardugo to weave in plenty of surprises that were, for me, satisfying but unexpected. This is a thrilling fantasy. The stakes are high and you're never long on your feet before the rug is being ripped from beneath. It's rich language, epic scope, and likable (or hatable) characters made it an instant favorite. Bardugo chooses to start with an epilogue. An odd choice, but I think it worked well to set the stage; it's a framing technique that carries into Siege and Storm (more on that soon). You know Alina is an orphan. She's different. She has one real friend. So when an incident occurs while crossing the dangerous shadow Fold and she's whisked away to a palace of powerful grisha by their charming leader, the Darkling, I could feel for her lostness. Her eagerness to belong. It's a trait that drives the plot. The first half is very self-exploratory. Alina is just coming into her power, becoming closer to the Darkling, trying to understand her new station. I was fascinated learning through Alina's eyes. Then there's the second half, when a major turn has been taken and Alina is racing for her life. This half is breakneck and heartbreaking, with a lot of near-misses and tension that made it very difficult for me to stop reading. Threaded throughout is a very sweet romance that I very much enjoyed (though it's start was a little suspect, in my opinion). And the ending is shocking. What I saw lacking was a real presence of the foreign war that put the Darkling in his place of power. This land is supposedly in a bloody conflict that motivates the actions of many characters, but it feels very far away and unthreatening most of the time. While I understand that the problems at home are Alina's focus, it just felt a little insular. Mages in Russia. Okay, you won me over. Bardugo drops her characters into a unique setting for a fantasy--a land at the crux of industrialization, where muskets coexist with magic. Their wielders, the soldiers and grisha respectively, distrust each other and jockey for power in a world where magic is supreme, but technology has the chance to surpass it. It's also a broken world, split by a sea full of monsters that cripples Alina's homeland, dividing it. A world at war, with Alina's home country pitted against its north and south neighbors and losing inches every day. A perfect world for Bardugo to explore the machinations of war, power, and politics. With dash of coming-of-age and some romance on the side. I instantly liked Alina. She's blunt, though she may try to lie to herself, and she's snarky and no nonsense. She's insecure without being annoying. She's also naive, a quality that comes starkly into play. It's difficult not to root for her. 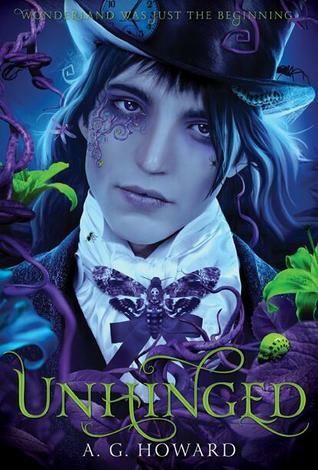 Then there's the Darkling, charming and mysterious, a strange mix of confidence and vulnerability with deep secrets. He's well drawn as a mysterious character, and his development across the book is exciting. I also had a lot of love for Genya and Mal. They're both cocky sort of characters with good hearts, but both are made more complex--Genya by her deep insecurities, Mal by his brashness and even selfishness. Also, did I mention I love Mal? Some of the other characters are less well done. There are a lot of side characters like Zoya who feel sort of flat, or characters like the Apparat who are clearly very important but who don't get much screen time. It's a big cast and mostly Bardugo handles it well, but a few people fall into the cracks. Bardugo's style is conversational in a pretty way, if that makes sense. It's Alina's voice first person so she sounds like a girl her age, but there's a definite level of maturity in the way she describes her surroundings, in the odd little details she notices about people. It's also very dry and funny at times. And speaking of funny, did I mention banter? Bardugo writes the most amusing banter between her characters, and also some of the sweetest, non-sappiest heartfelt moments. It's not a style as epic or as ornate as Laini Taylor's, for instance, but it can still be very affecting. It's very difficult to introduce a language and culture that's not the same as your audience's. Aka, imperial Russia. If you were weirdly obsessed with Anastasia as a child (not that I'm talking about anyone specific here), you may be familiar with some of the terms. If you didn't, you'll be just fine, because Bardugo does a great job of using context to explain the terms of her world. For instance, she sticks in a lot of Russianized words like kefta without explaining them, but makes it pretty obvious by context what they mean. It also avoids the problem of having really forced, contrived explanations.